Boy band B1A4 made a scene on the street during a recent V Live broadcast. 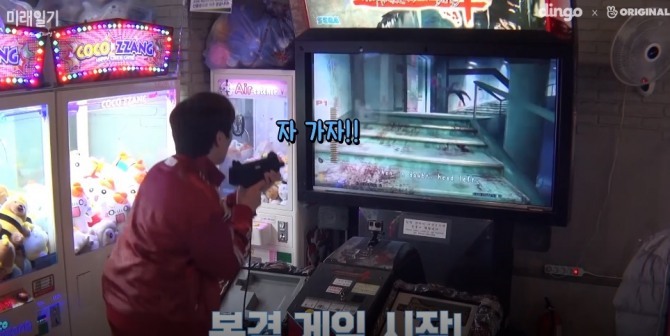 During the beginning of the show named “The Future Diary,” Sandeul and Gongchan described themselves as “complete opposites,” hinting at a possible rift. Sandeul said he is more outgoing, adding “I do many different things” including climbing, bowling, golf and cycling.On the other hand, his bandmate Gongchan tends to wear the same type of outfit and eat the same type of food, he said. The two then planned a day out before heading outside. The outing was off to a rocky start as the members appeared to have picked outfits for each other. 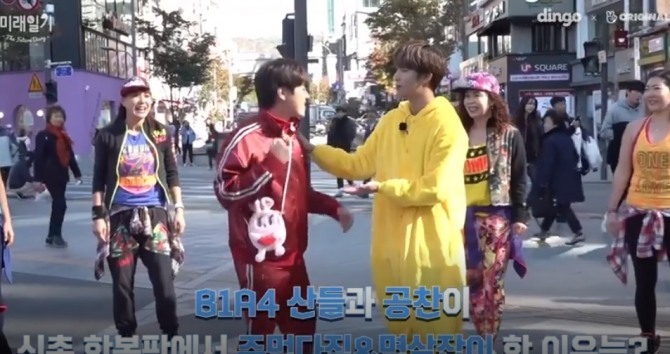 Sandeul screamed Gongchan’s name in the middle of the street in protest against his outfit, while Gongchan seemed slightly irritated about his outfit, too. The pair then went into an amusement arcade to spend the day as planned, completing missions the two laid out for each other. 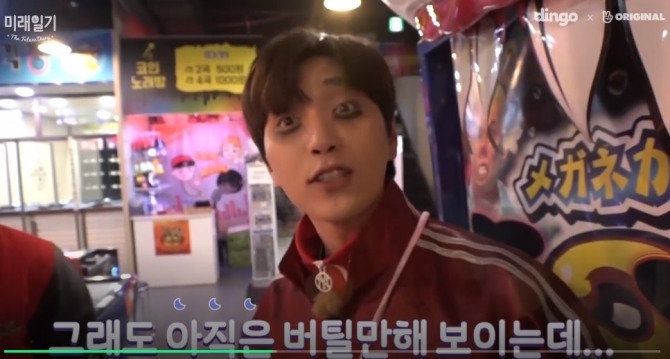 Sandeul had to have dark circles drawn under his eyes after losing a game against another player, which drew laughter from the people around him. Watch the video at https://www.vlive.tv/video/102347.